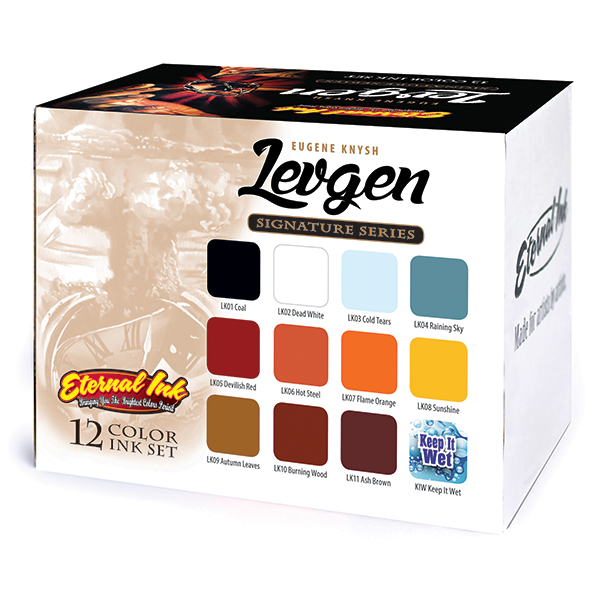 The Levgen Signature Series brings a fresh viewpoint to the Eternal Ink spectrum of colors. 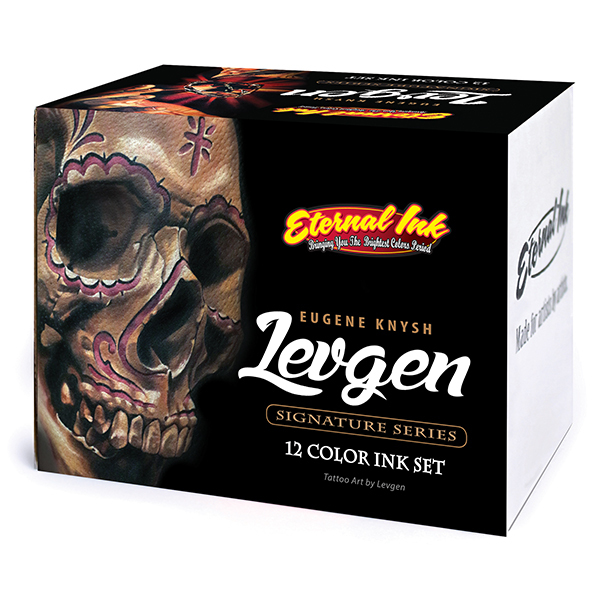 Tattoo artist, Eugene Knysh (Levgen) has selected a set of Eternal Ink colors that capture the vibrant intensity seen in his art. 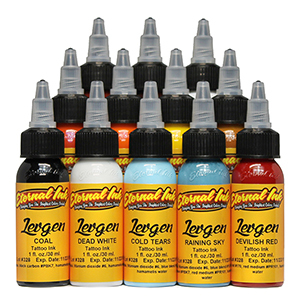 Levgen evolved his palette color-by-color from Eternal Ink pigments. For his signature series, he gathered together 12 foundation colors used to produce a stunning and color-saturated level of realism in tattoo art. 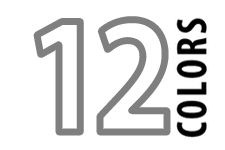 Levgen’s creativity extended to renaming the ink hues to match his aesthetic approach to color.